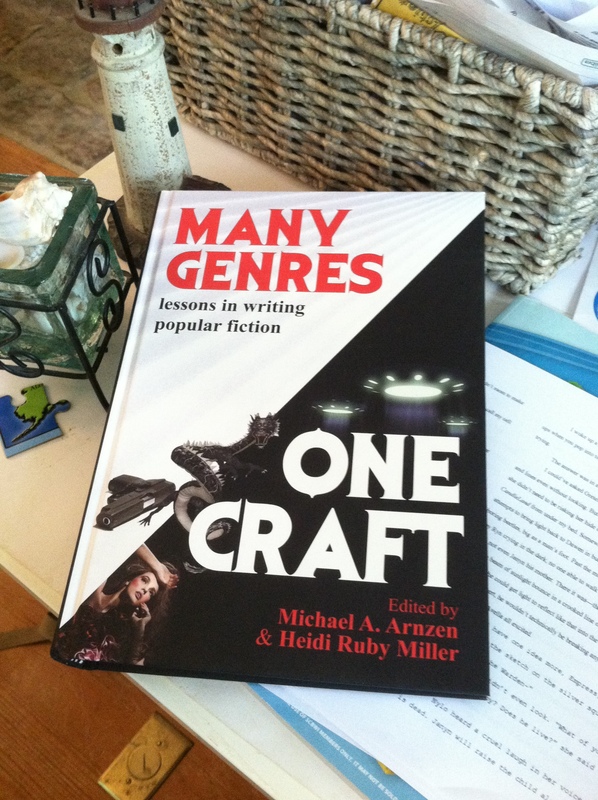 This summer marks the four-year anniversary of the release of Many Genres, One Craft, and I’m still thrilled to call myself a contributor. My essay on writing for older kids, “Keeping It Real: Mixing Truth and Fiction in YA,” is included, but it’s only one of 82 pieces–82!–that explore the craft of writing by addressing it from multiple angles. I can’t find another writing book out there anything like this one, and it’s fun and exciting to be a part of a volume so innovative. Beautifully designed and published by Headline Books, MGOC offers up both the practical and the inspirational in each packed section: Craft, Genre, and The Writer’s Life. Articles on the writing process and story elements fill the Craft section; popular genres like sci-fi, romance, suspense, and others (in addition to YA and children’s) are each addressed in turn in the Genre section; and the pieces in The Writer’s Life section, probably my favorites, clue you in to methods that working, earning writers use to overcome challenges and achieve the overall goal of more and better writing. The book is crazy big and weighs as much as a newborn. It’s done awfully well this past year; it won the 2012 International Book Award in the “Business: Writing and Publishing” category, and the “Education/Academic” category of the 2012 Next Generation Indie Book Awards. It won the General Non-Fiction Award in the 2011 London Books Festival Awards. It placed 5th in The Writer magazine’s “This Year’s Ten Most Terrific Writing Books,” earned a spot as a finalist in an impressive list of other awards and honors, and–as of yesterday–won Silver in ForeWord Reviews’ 2012 Book of the Year Awards in the category of Adult Nonfiction–Writing. Try MGOC’s blog for excerpts and more info.